AI and deep learning can help automate analytics on voluminous image data, enabling comparison with EHR information, genomics and more, officials say. 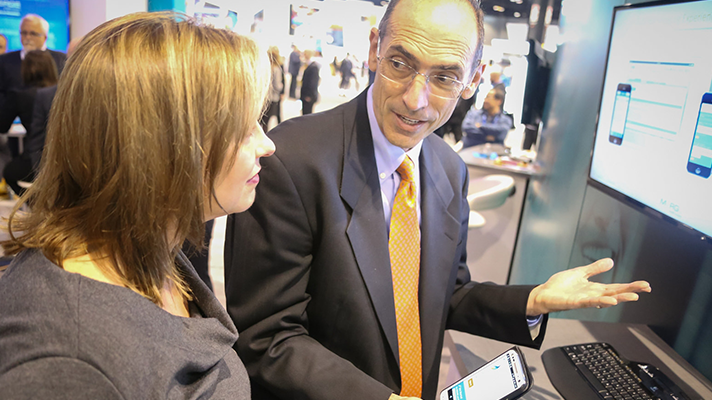 IBM companies Watson Health and Merge Healthcare unveiled several new machine learning and artificial intelligence technologies for imaging at the RSNA Annual meeting in Chicago this week. Big Blue also showcased new advancements in how Watson technology can learn and gain understanding from image information, which researchers say now accounts for some 90 percent of all medical data. IBM has taken a keen insight in applying Watson's supercomputing capabilities to imaging – especially since its 2015 acquisition of Merge. Big Blue, in fact, is developing numerous tools to help automate analytics, enabling cross-reference X-rays, MRIs and other images against electronic health record data, lab results, genomic tests and more. At RSNA, Watson Health is showcasing: a cognitive peer review tool aimed at reconciling differences between a patient's clinical evidence and data in his or her EHR; a data summarization tool meant to give radiologists, cardiologists and others patient-specific clinical information when they're interpreting imaging studies; a decision support tool to enable physicians to integrate imaging data with other clinical information; the new MedyMatch "Brain Bleed" App, a cognitive image review tool intended to help ER docs diagnose strokes or brain bleed in trauma patients based on evidence in their patient records. Merge, meanwhile, unveiled Marktation, billed as a new process for interpreting images to help physicians improve reading speed and accuracy, with an initial application in mammography; Watson Clinical Integration Module, a cloud app for radiologists that aims to counteract common errors in medical imaging, such as base rate neglect, anchoring, bias, framing bias, and premature closure; Lesion Segmentation and Tracking Module, which Merge says can help radiologists faster interpret and report comparison exams in cancer patients and others whose conditions require longitudinal tracking. "Watson cognitive computing is ideally suited to support radiologists on their journey 'beyond imaging' to practices that address the needs of patient populations, deliver improved patient outcomes, and demonstrate real-world value," said Nancy Koenig, general manager of Merge Healthcare, in a statement. IBM Research has also partnered with RSNA to further advance how Watson can derive insight from text and imaging data, helping speed diagnosis and increase efficiency for providers, officials say. Recent features include the ability to use deep learning to recognize locations of specific anatomical structures and detect anomalies, with the technology performing clinical inference on the patient's condition for a diagnosing physician to use as decision support.